British Harry Potter fans will no doubt have heard of Universal Studios, where you can wander down Diagon Alley and enjoy lunch at the Three Broomsticks. Closer to home, fans can find The Making of Harry Potter at the Warner Bros Studios Tour in London, where you can explore the sets from the Harry Potter films. But there's another star of the popular film series which can be found further north in the UK. 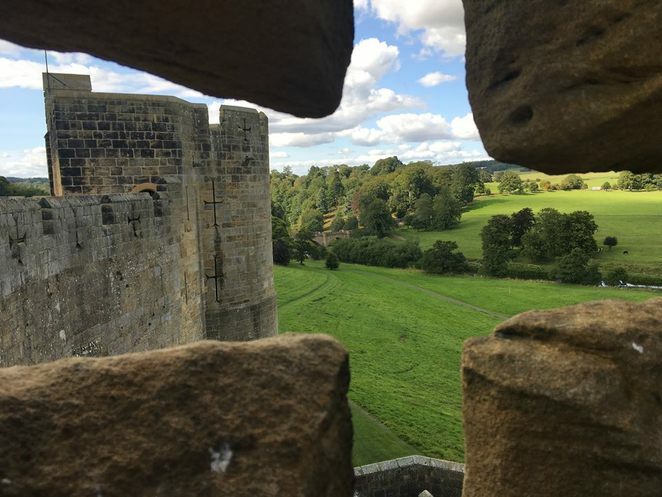 Several scenes from the first two Harry Potter movies (Harry Potter and the Philosopher's Stone and the Harry Potter and the Chamber of Secrets) were filmed at Alnwick Castle in Northumberland. 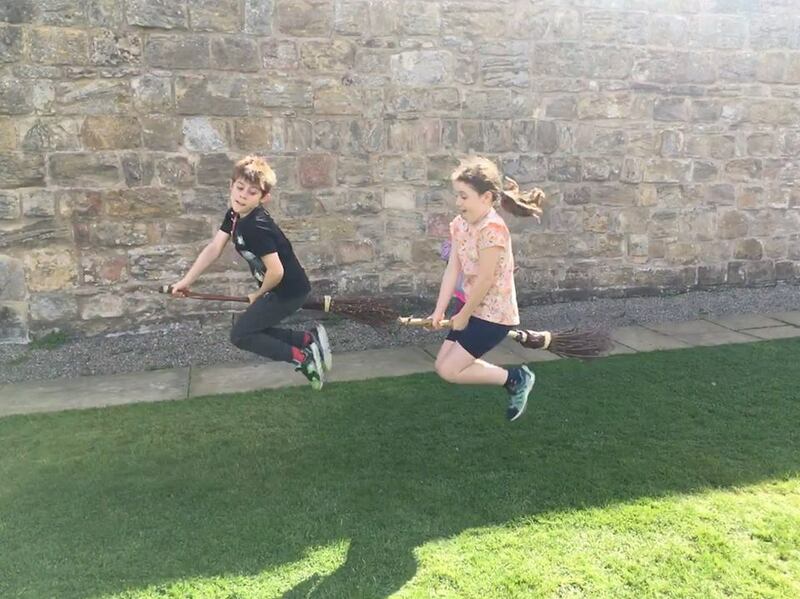 In fact, Harry's very first attempts to ride a broomstick were on the grounds of the grand castle and you will also recognise it from Harry's Quidditch training sessions. Several other scenes were shot in the grounds of the castle too –in fact, Harry and Ron crash-landed the Weasley's flying car in the Inner Bailey of the castle. Since the film was first shot in autumn 2000, the owners have had plenty of chance to adapt its offering for Harry Potter fans, who venture from afar to get a glimpse of the familiar setting. Families can learn to ride broomsticks, led by true professionals in the art. It's totally free and not just for the kids. Anyone can join in, however, you need to book your session on arrival, so make sure you get there early as they book up quickly. As you enter the castle, ask to be directed to where to book your tickets. The session is great fun and afterwards, the teachers will tell you how to get a picture that makes you really look like you are flying. 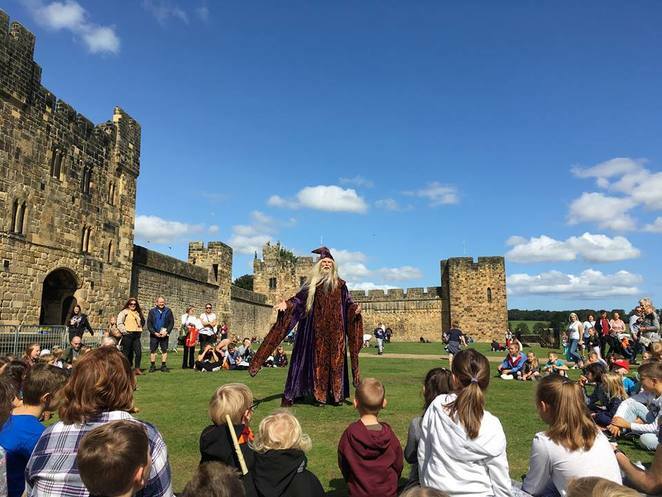 If you are a Harry Potter fan and are planning a visit to Alnwick Castle, be sure to don your Hogwarts robes and bring along your wand as it all adds to the fun of the experience. And if your child doesn't have their own wand/broomstick/scarf, be warned. There's an amazing gift shop selling all kinds of Harry Potter merchandise, from hoodies and hats to goblets, chocolate frogs and more. We visited during Wizarding Week in the school holidays, where we got the chance to watch a magic show led by Dumbledore (assisted by Harry Potter himself) which was absolutely brilliant. There was also wand making and the chance to meet some fantastic beasts in the Artisan's Courtyard. If you want to visit just for the Harry Potter connection, it might be worth finding out when the next one is before your visit. Don't be fooled into thinking a visit to Alnwick Castle is just for the Harry Potter fans. Families can take part in Dragon Quest, which is a walk-through experience where you can hunt for a dragon. Be warned, it can be a little scary for youngsters – it was all too much for my sensitive five-year-old. Again, it's free to take part in, although you will need to book a time slot on arrival in the Artisan's Courtyard, so do this straight after booking on broomstick training. Kids can also take part in medieval crafts and games, and there are costumes that they can try on too, perfect for little ones who love dressing up. There are even full length mirrors so they can check themselves out (and make sure you get a photo). Lots of events run throughout the year, including outdoor theatre, Knight School, Jousting and Jesting. The castle itself is impressive to look around. As it is still inhabited for parts of the year, it is intriguing to see a castle that looks so regal and from another century, and yet features plug sockets and large TVs. Kids will enjoy checking out the dungeons and walking the walls too. If you think the castle looks familiar and haven't seen the Harry Potter films, you may have seen it somewhere else. It has been the star of many TV programs and films in the past, such as Downton Abbey (starring as Brancaster Castle in the Christmas specials), Transformers:The Last Knight, Robin Hood Prince of Thieves and even the first series of Black Adder. 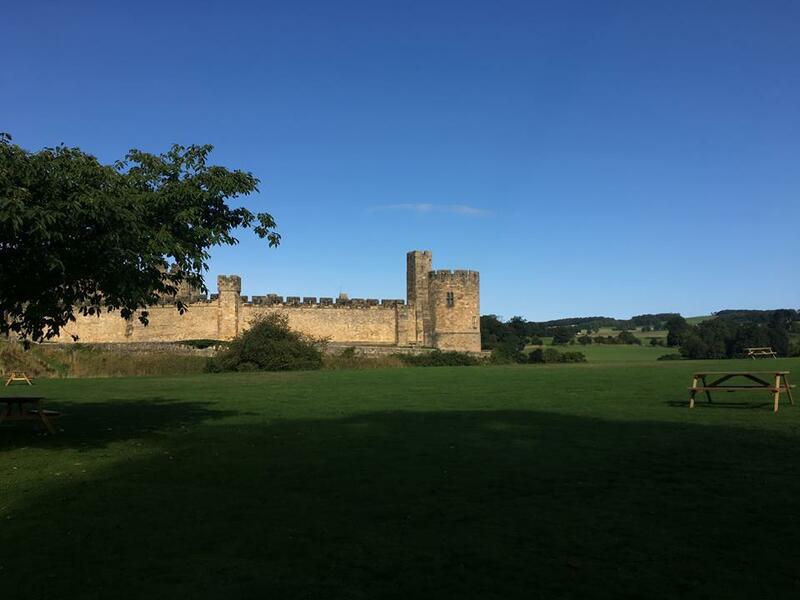 We visited on a sunny day, and I wish we had brought a picnic, as the grassy hills at Alnwick Castle are perfect for the kids to play on, whilst you enjoy a little peace and quiet. However, if you want to purchase food, there's a fish and chip takeaway and cafe in the castle grounds. Seating inside is limited, but there's lots of seating outside in the courtyard too. We opted for the fish and cips which was lovely, and sat on the grass. Alternatively, you can pop into Alnwick itself, which is only a stone's throw away. 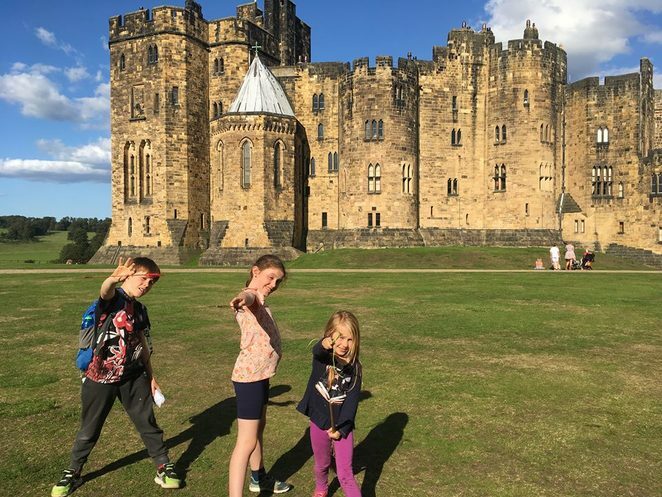 Alnwick Castle is a magical place to visit, and made for a wonderful family day out. With everything there is to do, you might not manage it all in one day, so why not visit again? At the time of writing, if you pay for a day, you can visit for free for a whole year. You just need to unlock your pass at the unlock station. The stunning scenery is also worth a special mention. If you're visiting Northumberland for the first time, it's definitely worth spending some time there exploring the beautiful beaches, villages and walking a bit of Hadrian's Wall too. Who knows what else you will discover.